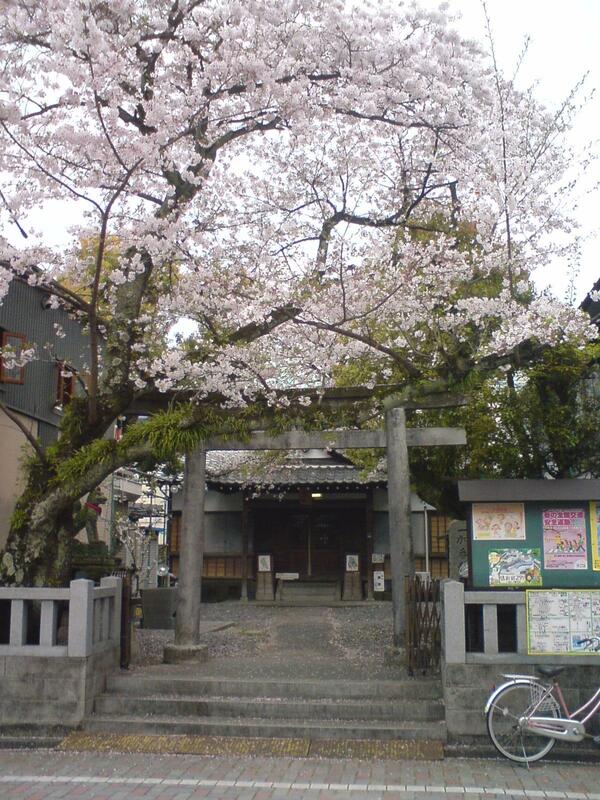 Takajo is one of the oldest traditional quarters/precincts (in Japanese 町. Pronouce “machi” or “chyo”) in Shizuoka City. It already existed more than 500 years ago when our city had a different name, Sumpu, and the Shogun Tokugawa Ieayasu came here to retire from politics. The city and its depedencies were then divided into precise “machi”, each defined by the craft or profession of its inhabitants. 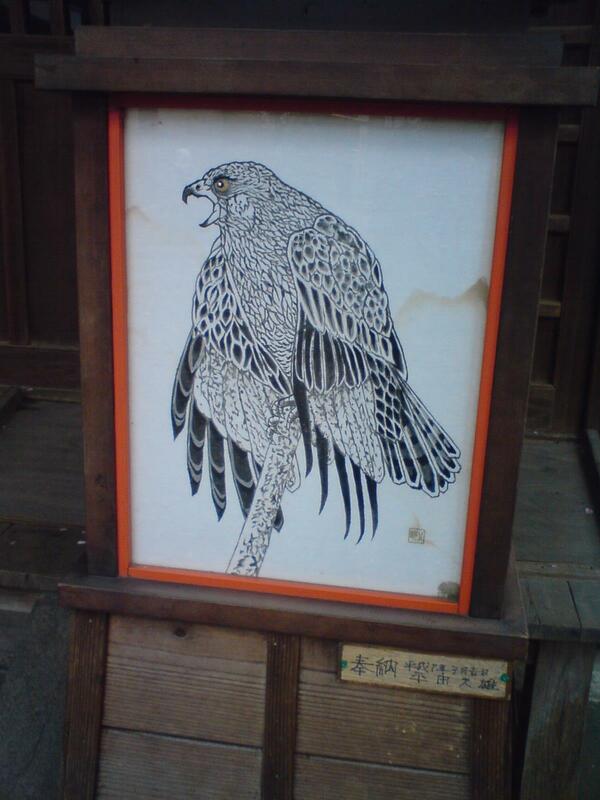 Takajo/鷹匠, meaning falconry was initially occupied by falcon breeders and their families. Falconry was a favourite past time of the nobility and a statue of Tokugawa Ieyasu with a falcon standing on his wrist is a celebrated sight in town. Accordingly the falconry guild wielded a lot of power in the daily affairs of the city. Whether it stretched then as far as it presently does is difficult to verify, but the main shinto shrine, Inari Jinja, clearly indicates it lay near Sumpu Castle acroos from the precinct called Sumpu-Jo, the political centre of the City in Edo Era. The Inarai Shinto Shrine in Takajo 1 Cho-me. Although the name of Takajo had existed as the name of a village for more than 500 years, it got official recognition as the name of a distinct village only in 1876 and was finally incorporated into Shizuoka City, which has changed its name from Sumpu, in 1890 with three subdivions, or cho/丁 (or called cho-me/丁目 when counted). In 1945 a part of the third “cho” was incorporated in neighbouring Tenma-Cho, and again in 1966 some areas of Takajo became part of Sumpu-Jo district. Inari Shinto Shrine/稲荷神社 is probably the oldest living site (although it has been rebuilt numerous times) as it was erected in 1631. 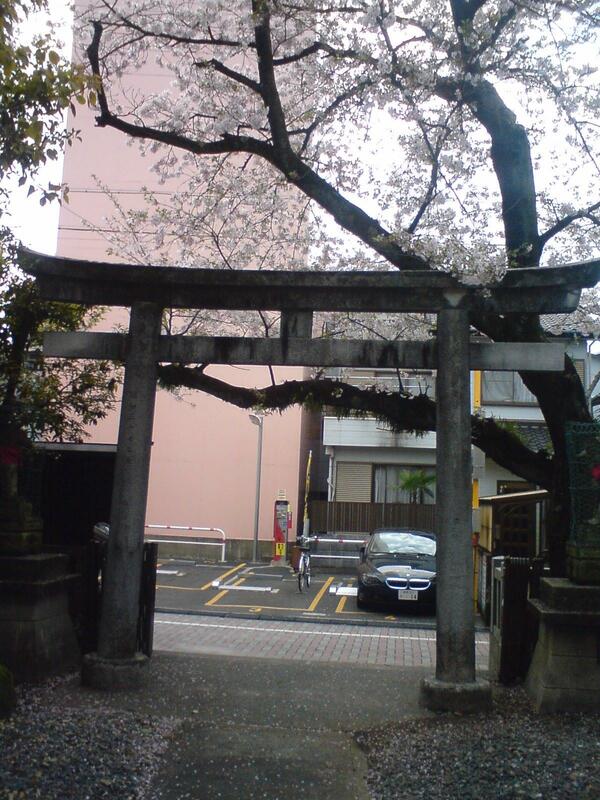 It was officially recognized as the Shinto Shrine of Takajo first “cho” in 1879 by the Meiji Emperor Govenment. For all these years I have lived and worked almost across the road, I haven’t heard yet of an ofiicial shrine for the second and third “cho”. 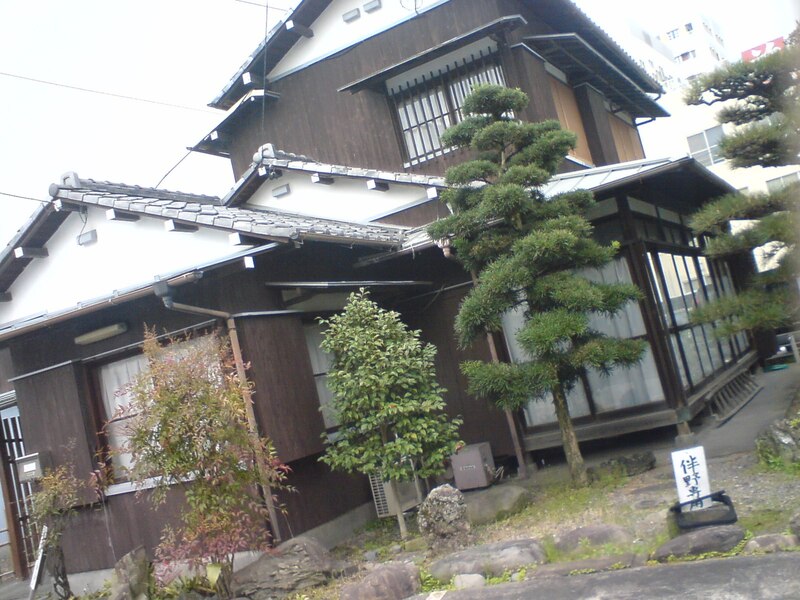 As Shizuoka City was in great part destroyed during WWII, Takajo grew again in a somewhat haphazard manner in spite of its straight narrow streets. For long it was a fairly drab residential area with dark alleys at night, although it never bore a notorious reputation. 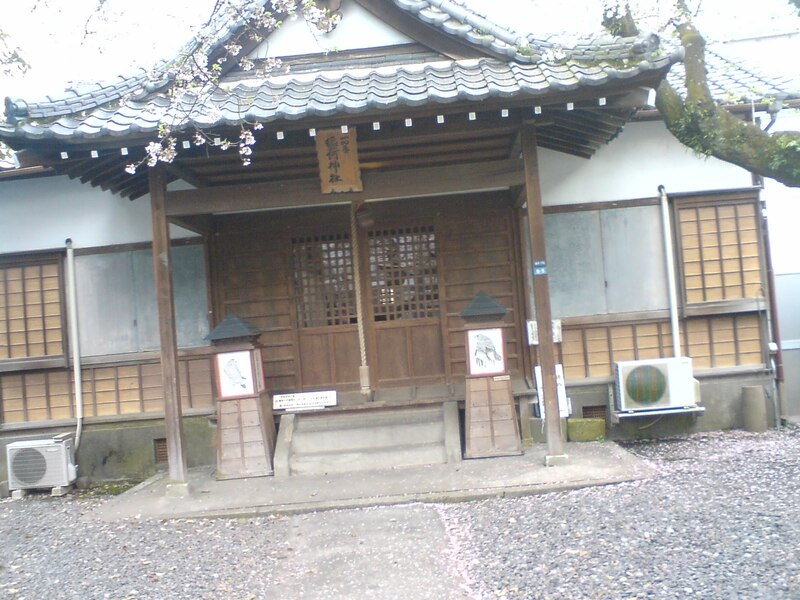 If you look around, that is along the “back streets”, you still can find old tradional Japanese houses! Until the 1980’s questions and queries about that particular area did not raise as mauch as an eyebrow, but with the end of the bubble economy, this quiet and almost comatose part of the city suddenly became the focus of many a shop owner’s attention, be they restaurants, bars, fashion shops, antique shops or cake shops to the point that Takajo was soon dubbed as the “Daikanyama” of Shizuoka City in imitation of the fashionable district in Tokyo. 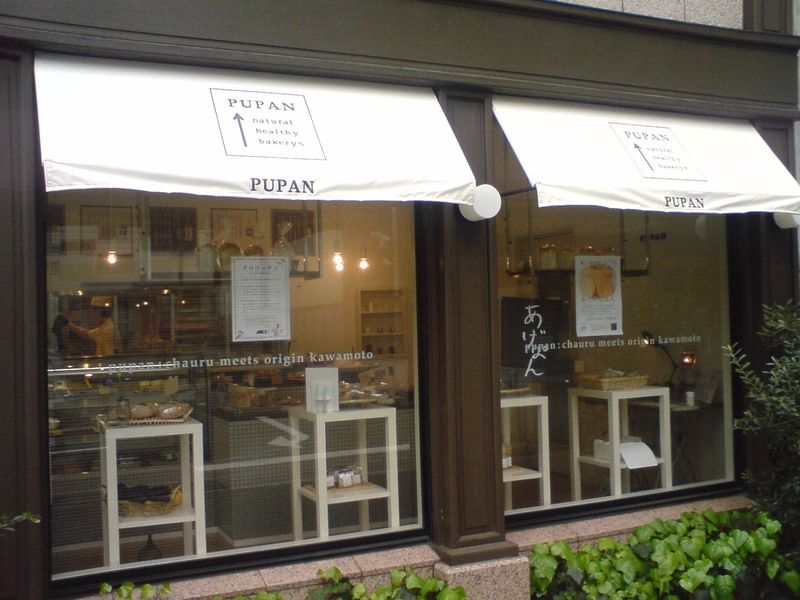 Pupan, a high quality but expensive cake shop/bakery. The area has now become so replete with “small” businesses that is has become a destination ofits own worth for shoppers and revellers at any times of the day and night. One would sorely be tried to describe the whole district in a pre-ordained manner unless one would be pedantic enough to grid it into a meaningless pattern. It is simply a maze (I was going to say an amazing labyrinth) and one had better follow his/her instinct when exploring it! 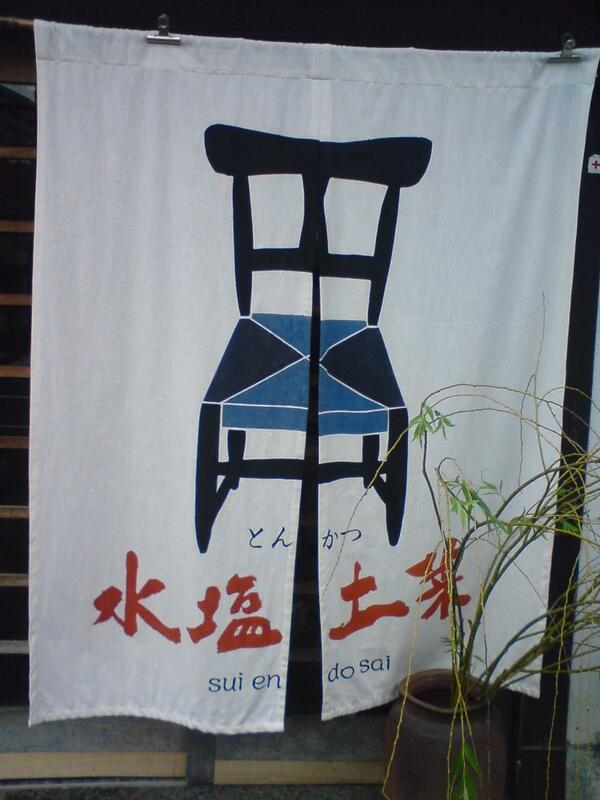 Look out for some beautiful noren/暖簾 or shop entrance curtains, especially old homes reclaimed as restaurants! Inari Shinto Shrine entrance as seen from the shrine front yard. 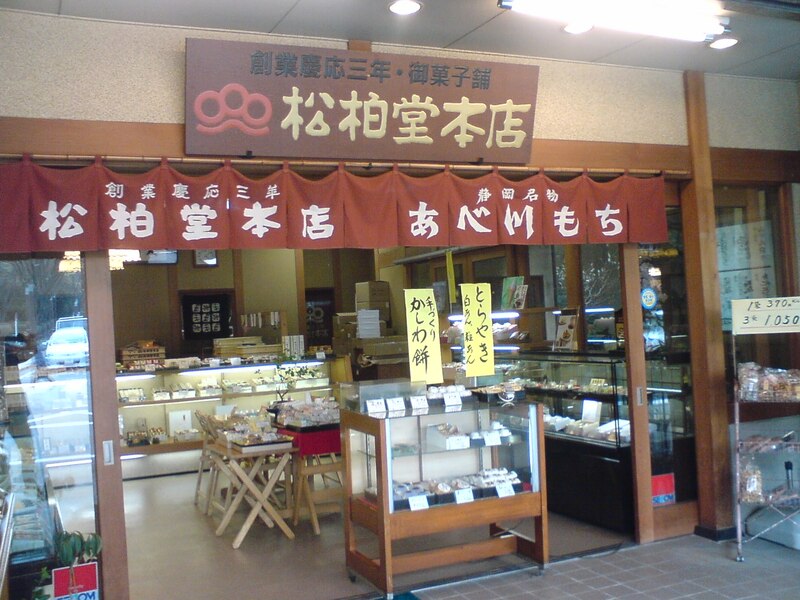 This very old shop sells “Abekawa Mochi”, a traditional wagashi/Japanese cake made in this city for than 400 years! 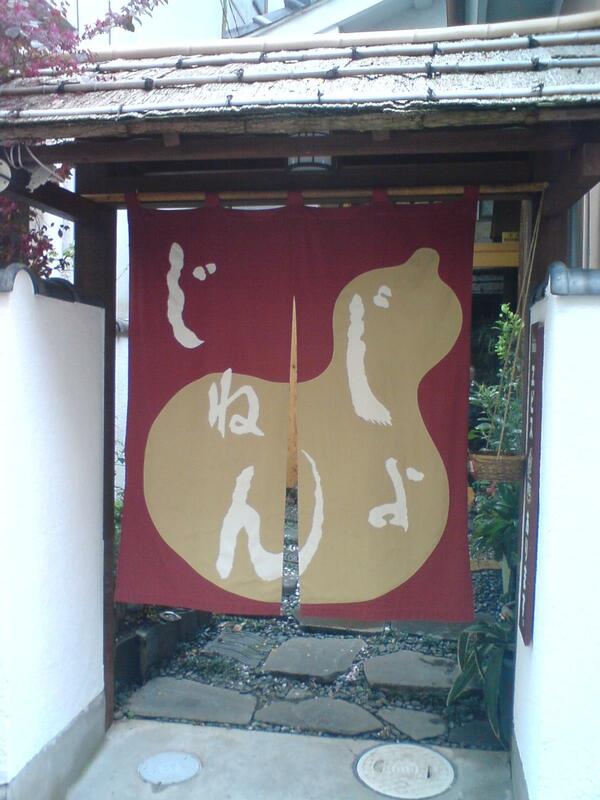 Another noren/暖簾, shop entrance curtain! 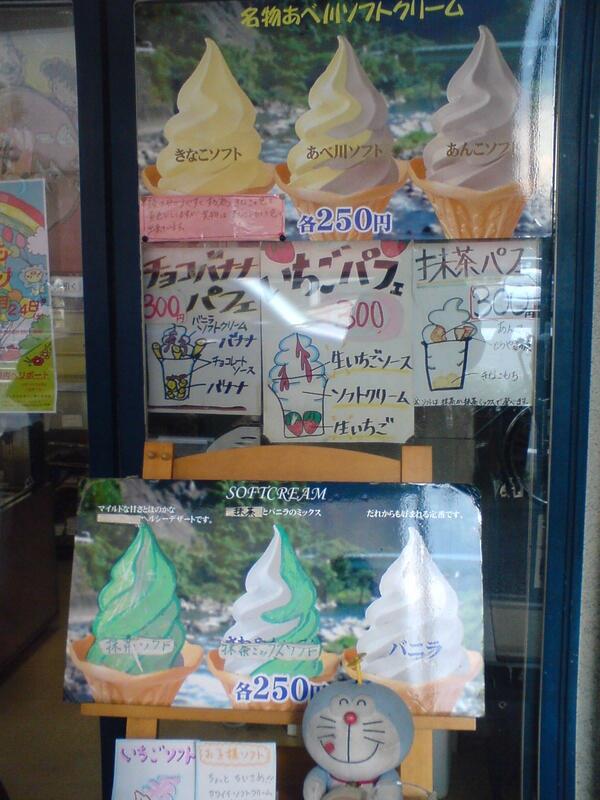 This place sells succulent soft ice creams made with matcha tea and kinako! 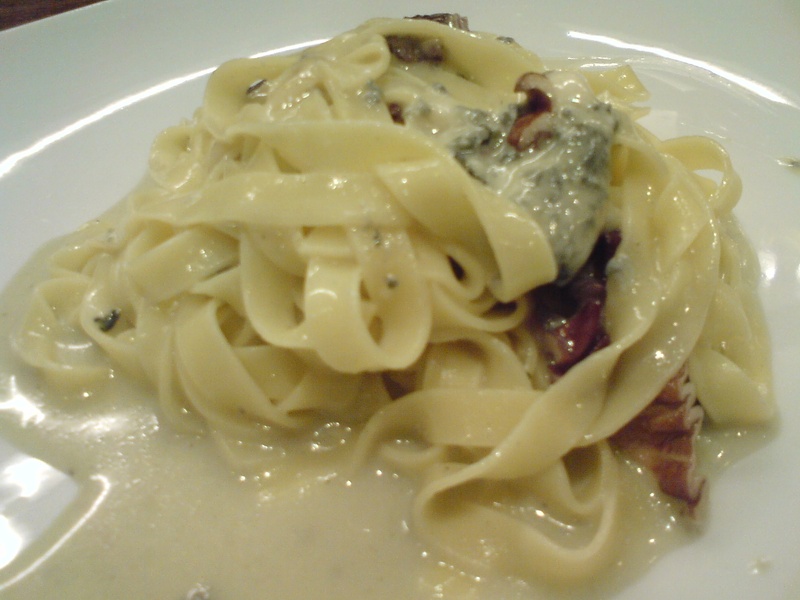 Do you remember the pasta at this Italian Restaurant? 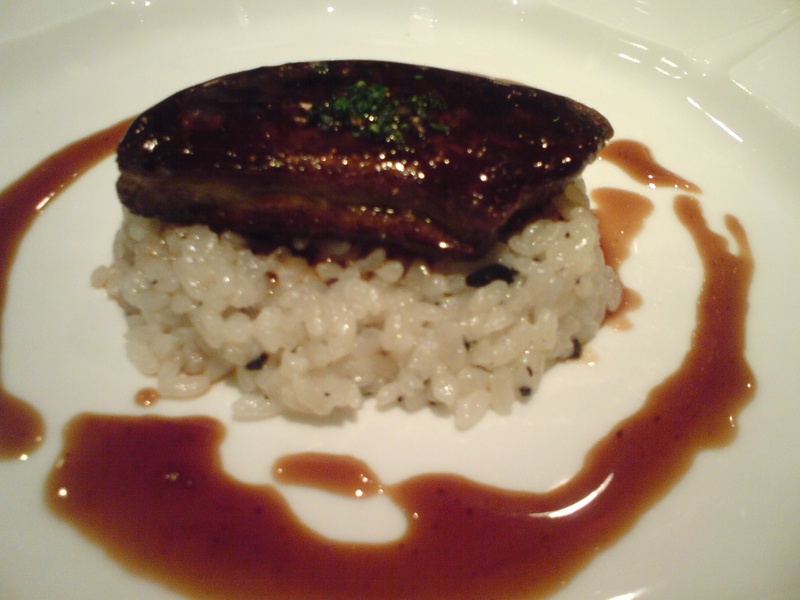 And the Foie gras at this French restaurant? It promises to be loooonnnngggg series!